Police in two Massachusetts communities say they've launched a joint investigation into the turkey who tried to chase down a police cruiser this week. 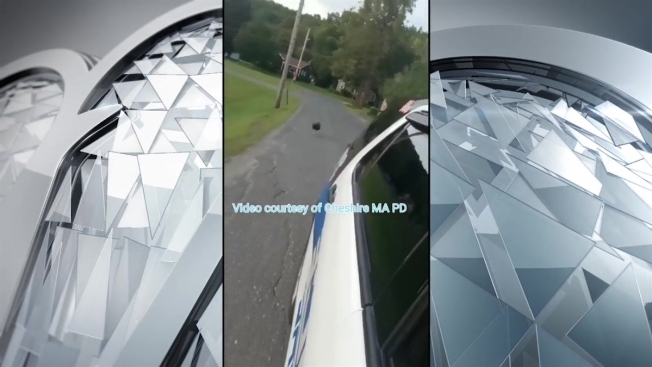 Cheshire Police Officer Dylan Vandoloski took video of the feathered suspect trotting behind his police car while he was on patrol. The Boston Globe reports Pittsfield Police Officer Darren Derby shared the video through his police department's social media accounts, asking "for help in identifying the subject in the video." Derby said Tuesday that the turkey is "armed and delicious." He also says, based on feedback from social media, the turkey is well known around Cheshire for its antics.